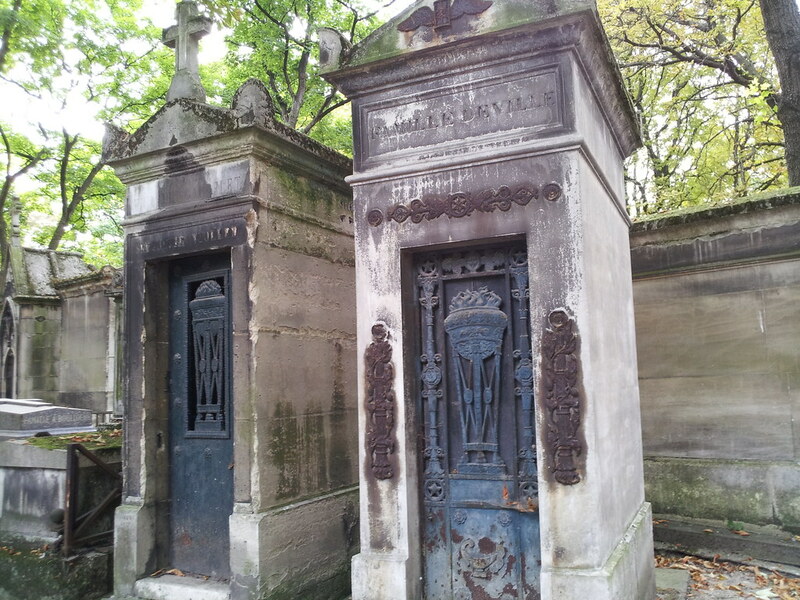 Paris is full of life, and I've been living it up, but that doesn't mean I haven't made time for the dead. 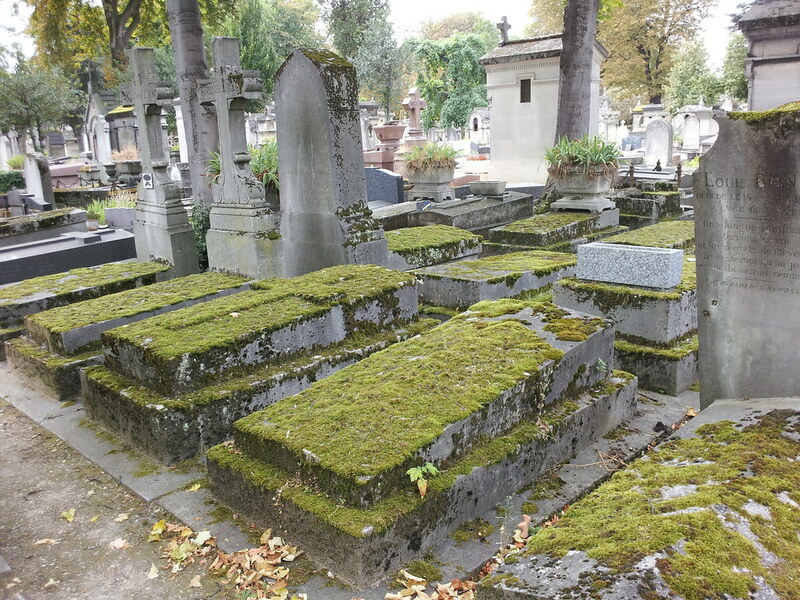 Yesterday I visited the Cimetière du Montparnasse and today I made the trek to Cimetière du Père-Lachaise to visit the world's most visited cemetery. 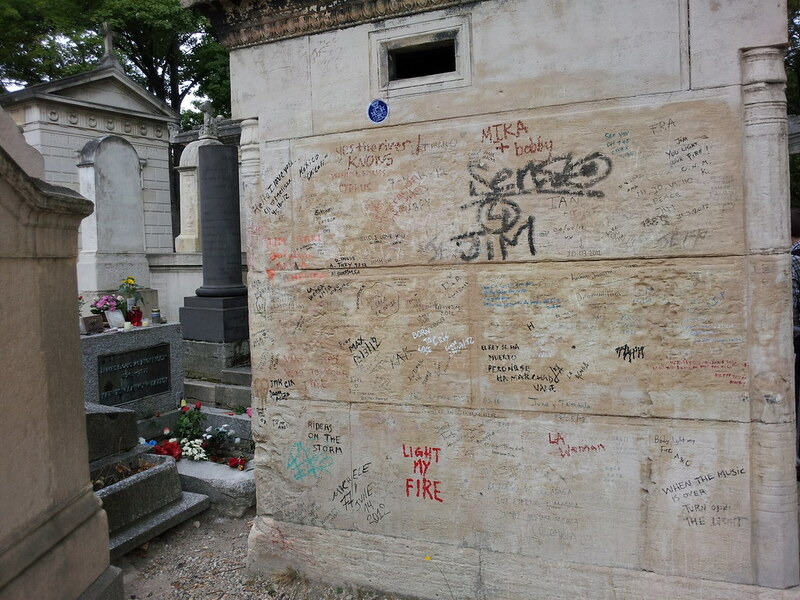 At the Cimetière du Père-Lachaise lies the final resting place of Jim Morrison. 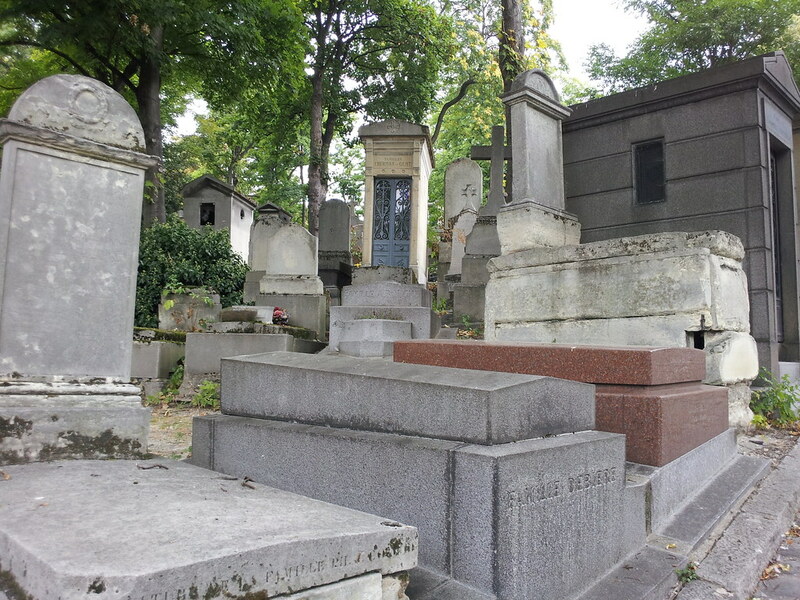 Jim Morrison attracts the crowd, but a short walk away is composer and virtuoso pianist Frédéric Chopin. 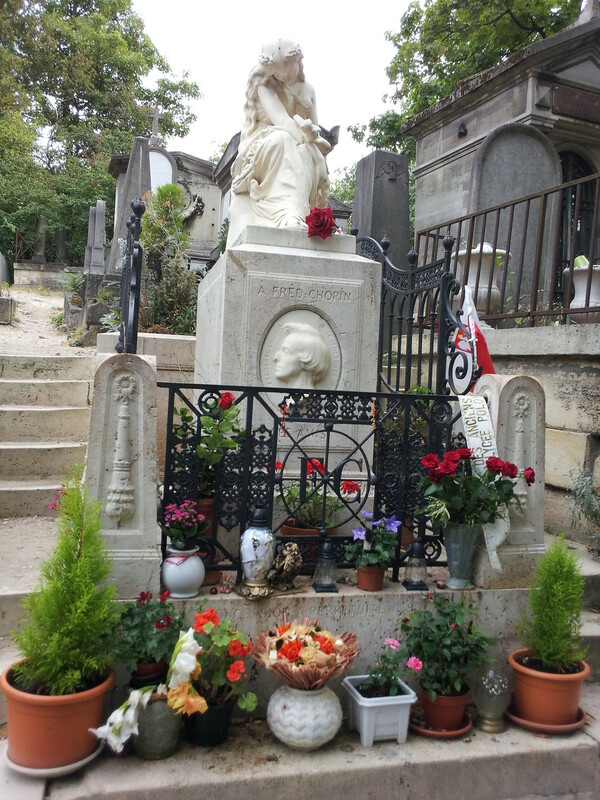 His grave monument is also well decorated by adoring fans. 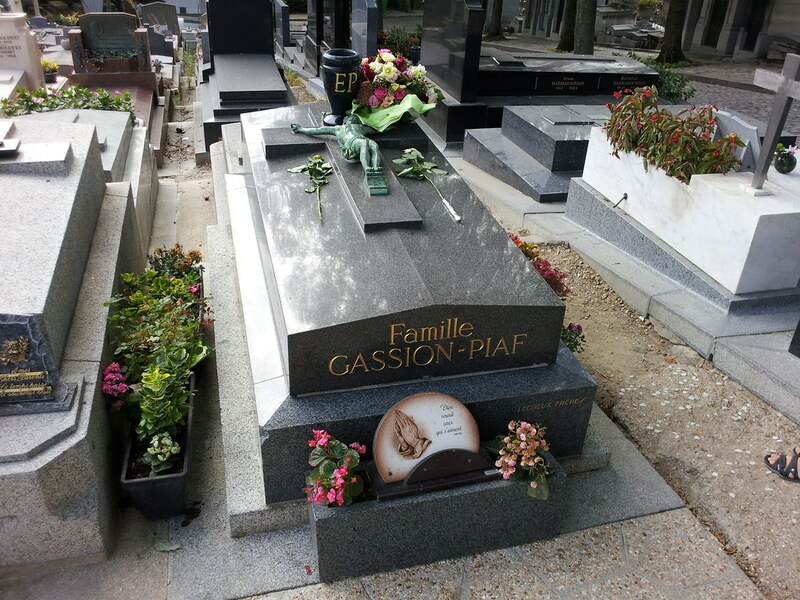 In the same cemetery is Édith Piaf, widely regarded as France's national popular singer, as well as being one of France's greatest international stars. Édith Piaf's "La Vie en rose" is everywhere in Paris. 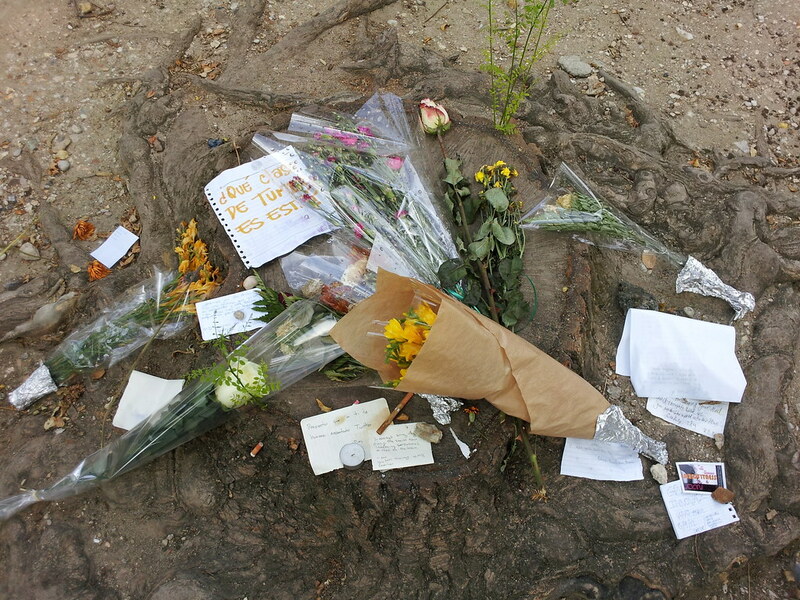 Someone was playing it outside the Sacré-Cœur Basilica earlier today. 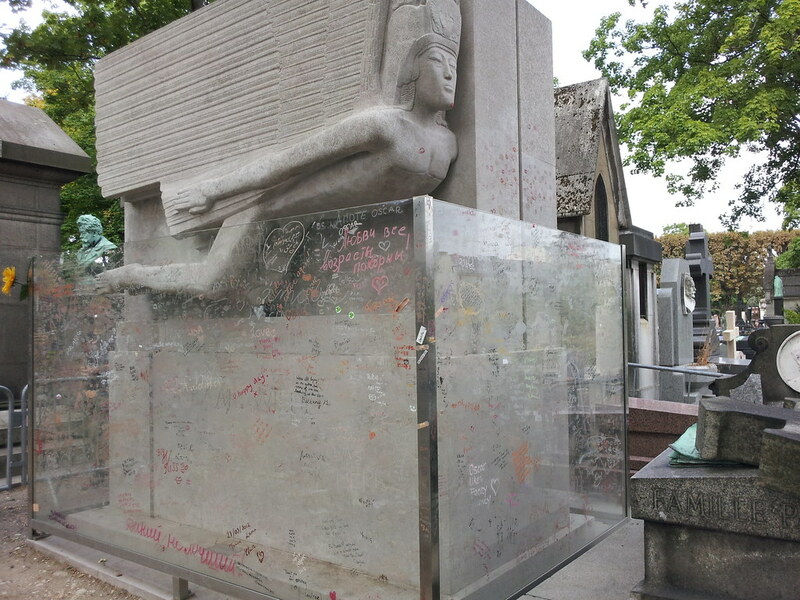 Also in the Cimetière du Père-Lachaise attracting a great deal of fanfare is the grave belonging to Irish writer and poet Oscar Wilde. 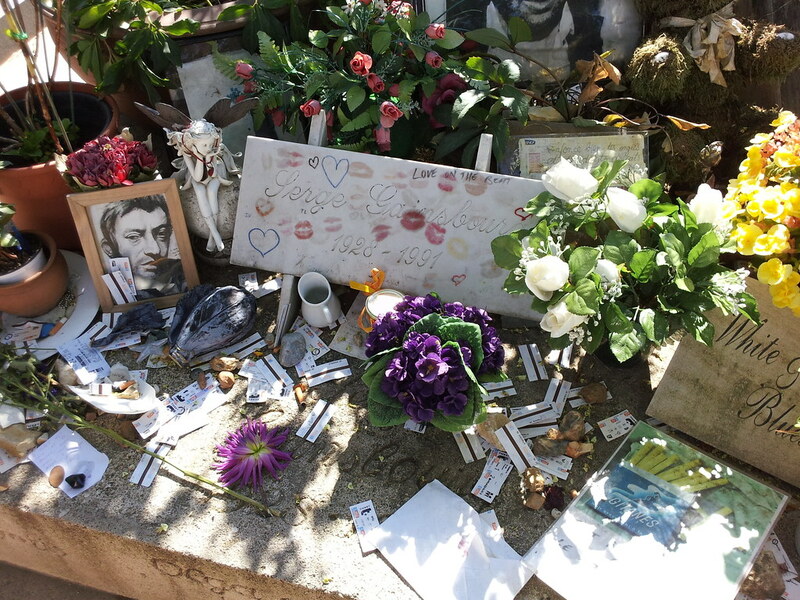 At Cimetière du Montparnasse, I stumbled upon the very popular grave belonging to Serge Gainsbourg. 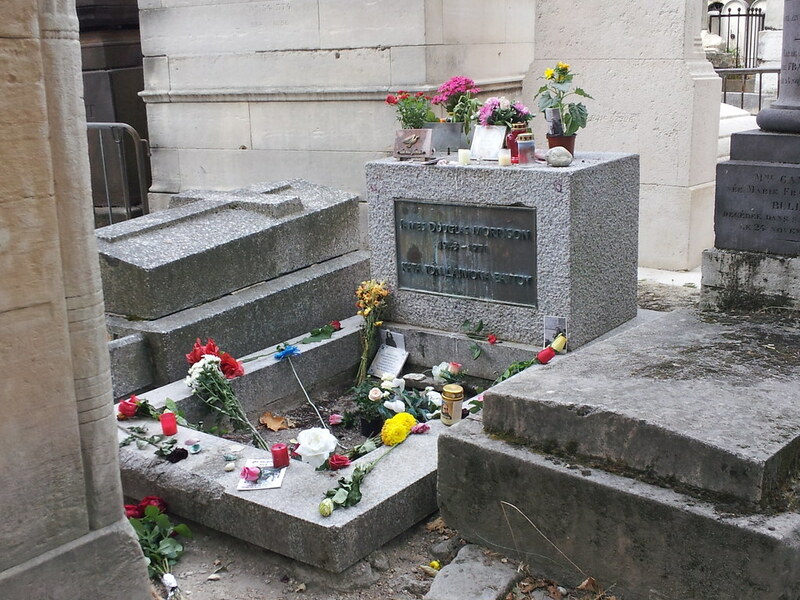 I had to look him up to learn that he was a French singer, songwriter, poet, composer, artist, actor and director and was regarded as one of the world's most influential popular musicians. 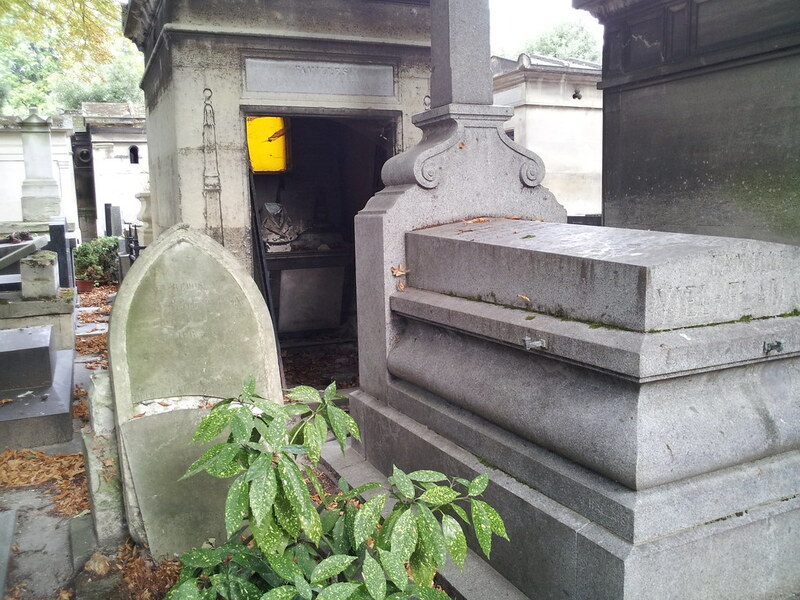 Here are a few other photos from my visit to these two Paris cemeteries. I liked so much your trip around this cemetery.I think you did a great blog with the right information about all the graves.One day I will visit Jim Morrison's grave.I think that he was a great poet and musician,and I like so much his legacy about what freedom is,something that in our days not much people know it and the reason of why much people are in chains about what the society think.